The Rochester Hispanic Business Association, a Rochester Business Alliance affiliate, named Mauricio Riveros its 2014 Hispanic Business Person of the Year. Riveros serves as Executive Vice President of The Pike Company, overseeing project operations and risk management. Riveros is also responsible for Pike’s “The University” program that provides internal training and professional development for all Pike and LECESSE employees. He developed the company’s “Steps to Success Program” that provides hands-on training to women and minority-owned companies in alliance with public and private enterprise. 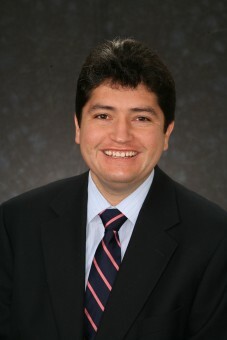 Prior to coming to the United States and The Pike Company, Riveros served as National Director of Planning and Territorial Organization for the Bolivian government. Riveros serves on a number of local boards including the Upstate New York Minority Supply Development Council, Allendale Columbia School, St. Ann’s Community, and the YMCA. He lives in Perinton with his wife, Bess, and three children. Mauricio Riveros receives the annual Hispanic Business Person of the Year award at the Rochester Hispanic Business Association gala luncheon September 25 at the Rochester Riverside Convention Center. From a press release, July 18, 2014.